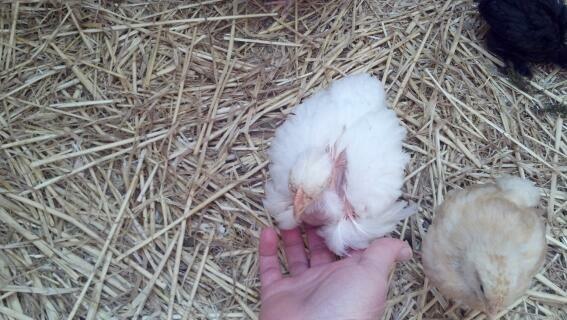 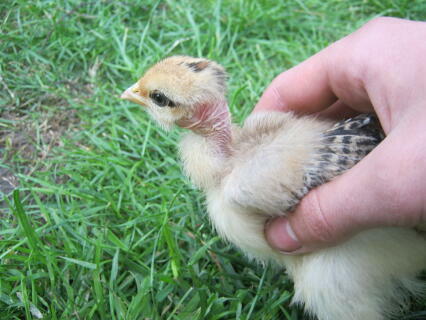 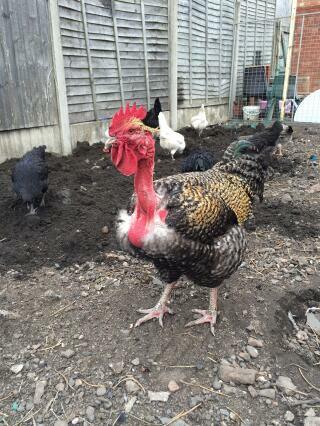 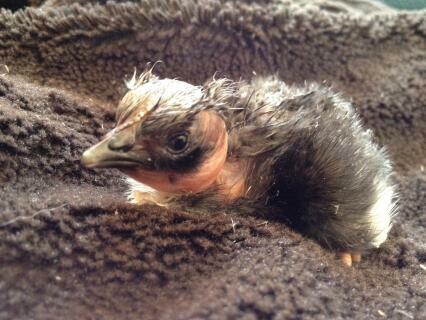 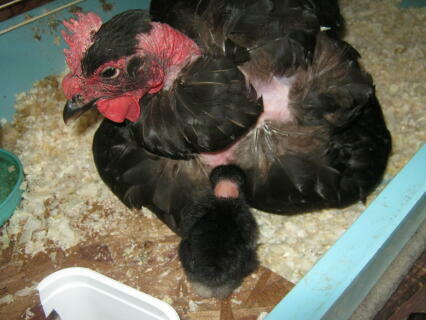 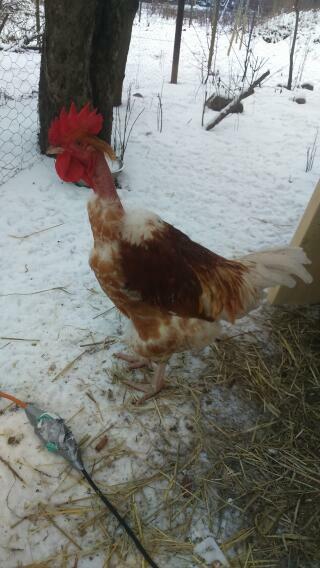 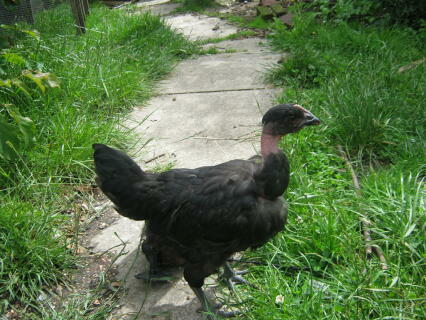 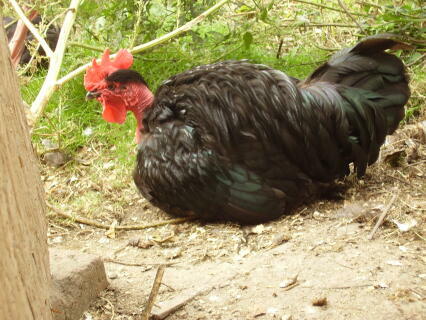 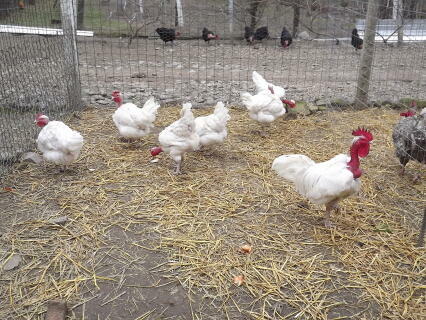 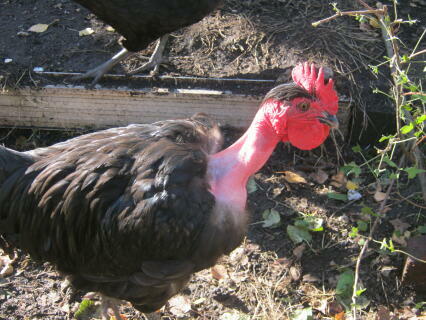 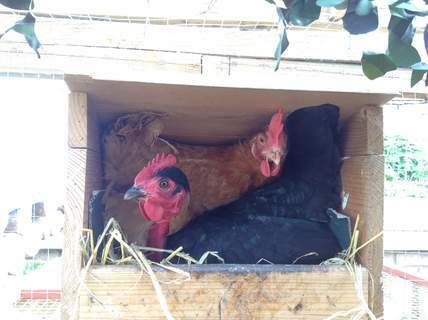 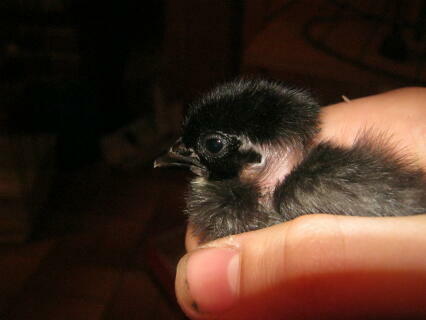 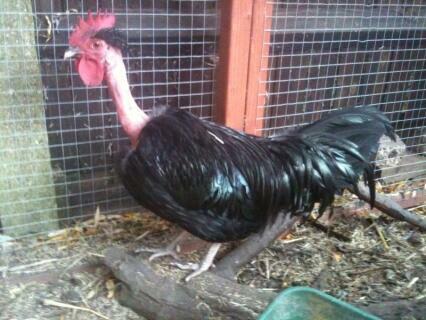 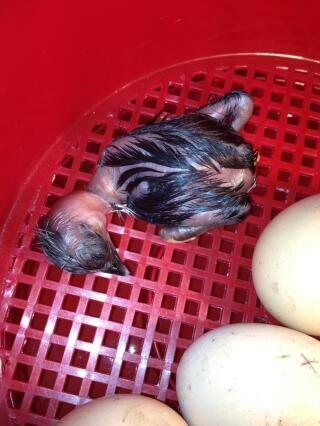 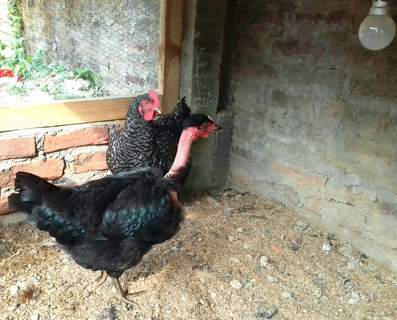 They are good layers, producing brown eggs and are hardy, vigorous birds. 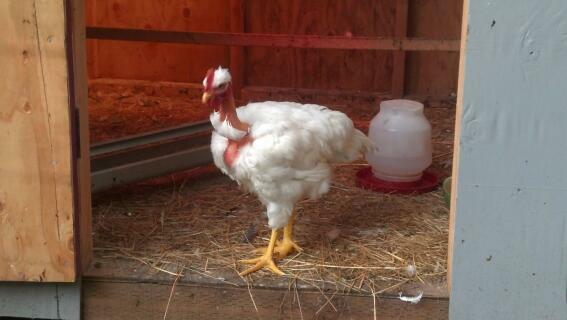 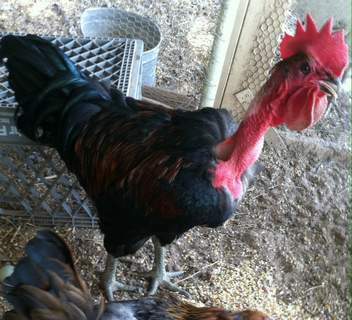 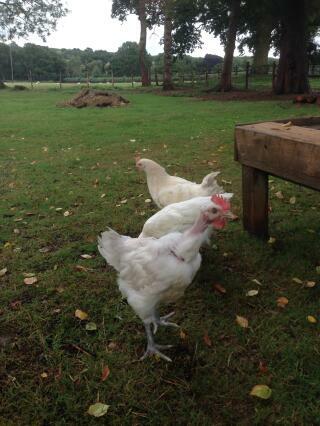 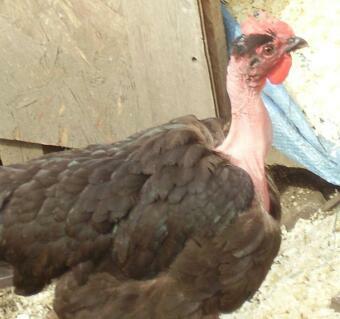 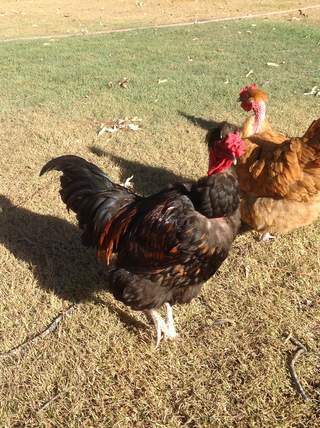 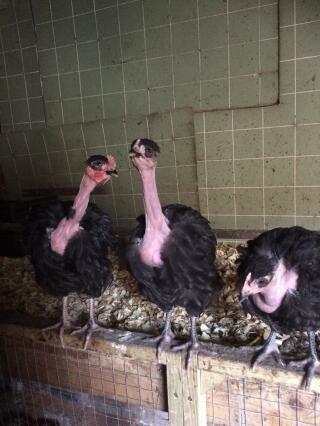 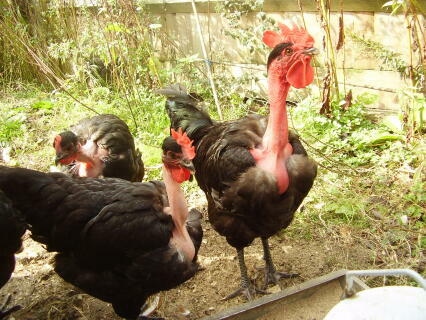 They are happy to free range or be confined in runs and are not known as being particularly good fliers. 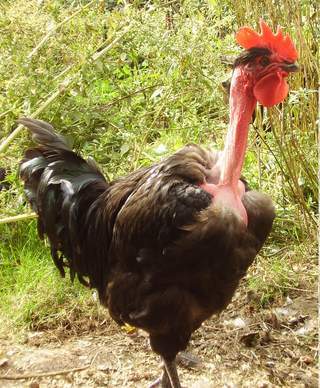 They need protection in extremely cold temperatures because of their lack of feathers but can cope remarkably well in very hot climates. 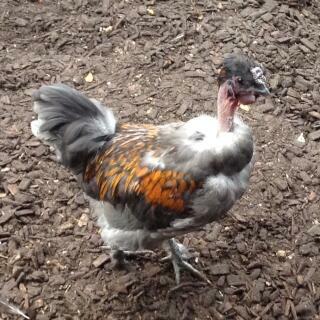 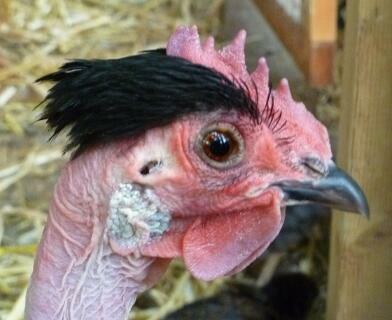 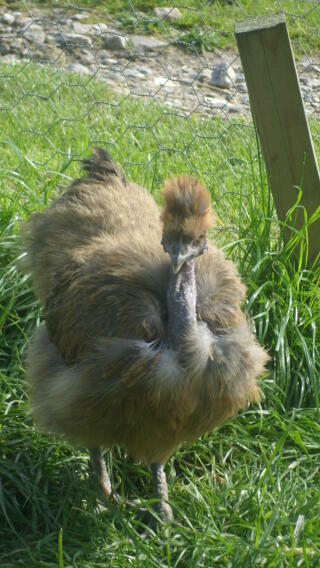 They are easy to tame and are very placid, calm birds. 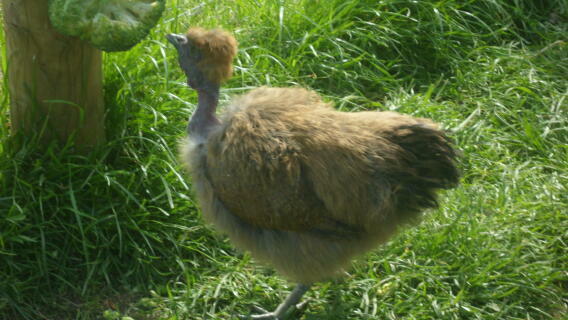 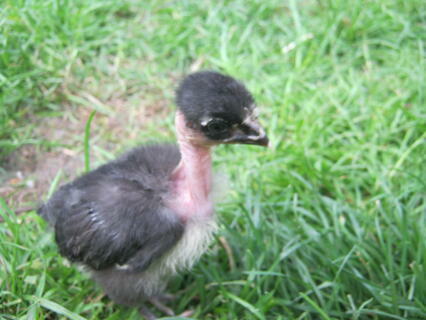 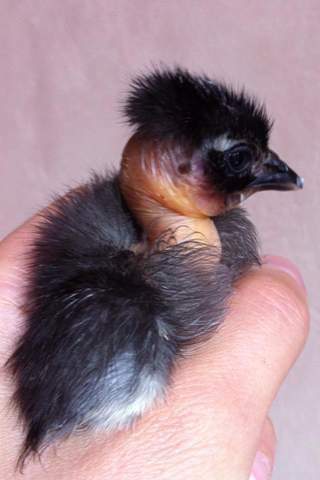 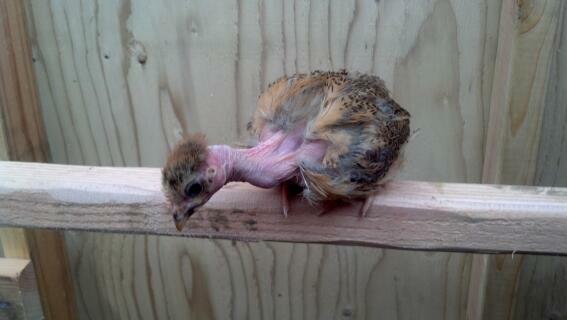 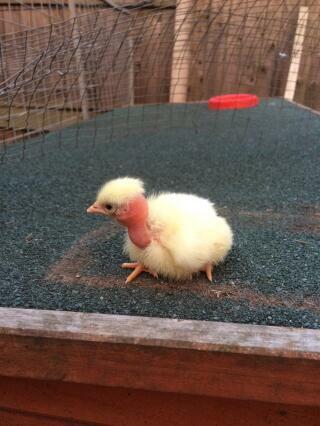 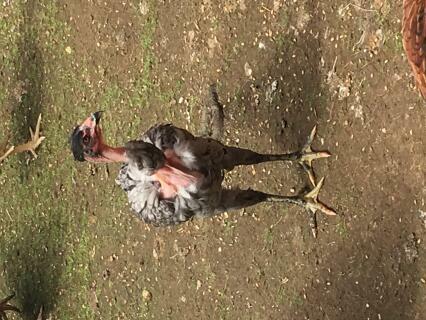 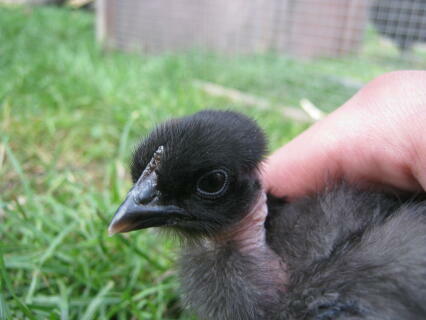 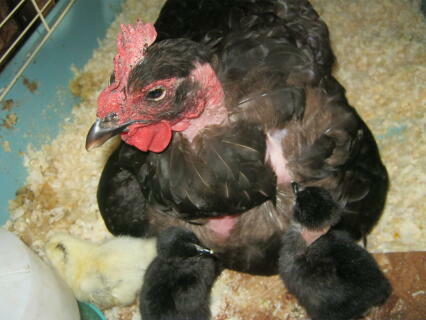 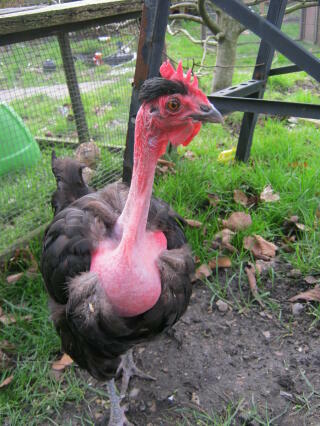 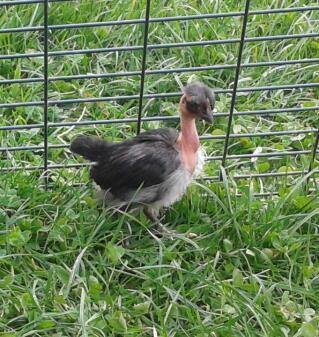 They are not good broodies as their lack of feathers makes it hard to keep the eggs warm but if allowed to sit on just a few eggs, they are capable of hatching their own eggs and the resulting chicks are born with their necks already exposed and featherless. 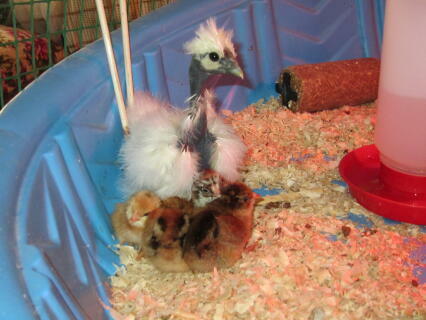 Males weigh around 7-8lbs while the females are 5Ã‚Â½-6Ã‚Â½lbs.